Don't be afraid! Some alien monsters are friendly aliens. 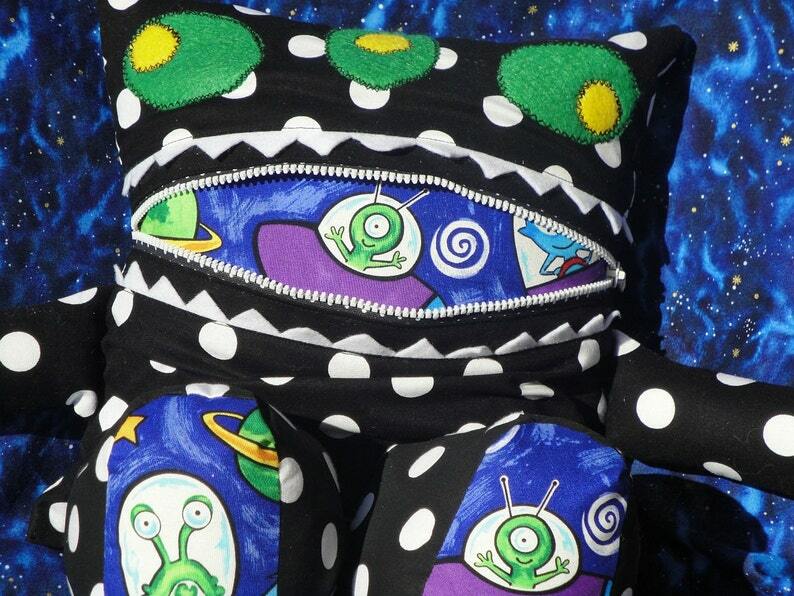 This Alien Monster Pajama Eater is friendly and looking for a loving home. He likes to be helpful. He will eat your pajamas so they won't get lost and return them to you when it is time for bed. At bedtime he can cuddle or be a comfy pillow. When his tummy isn't full of pajamas he likes to help children hold toys and hide TV remotes from parents. (Naughty Monster!) It's lucky for him he is so cute and cuddly because he sure likes hugs! This Monster Pajama Eater is made using 100% cotton fabric and is stuffed with Poly-fil. The eyes are made from felt. The mouth opens with a zipper. He is approximately 12" square before the legs and arms are added. This listing is for the Black and White Polka Dot Alien Monster only. Is there a color scheme you would like? Does your child like Star Wars, Batman, Hello Kitty, or Cinderella? 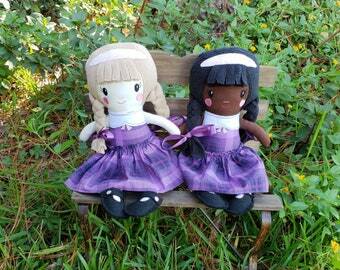 If you do not see what you are looking for please feel free to ask me about custom making one.